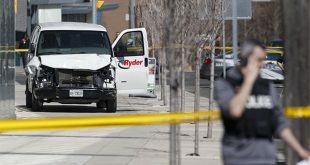 A 29-year-old gunman opened fire on pedestrians in a bustling Toronto neighborhood, killing two and wounding a dozen others, police in Canada’s largest city said Monday, adding the suspect was found dead in an alley after an exchange of gunfire with police. A video clip posted by Canadian media appeared to show a dark-clad man walking on the sidewalk in Toronto’s Greektown neighborhood Sunday night and then turning to aim and fire a handgun. “At approximately 10 pm on July 22, 2018, a man walking along Danforth Avenue fired shots at groups of people several times. 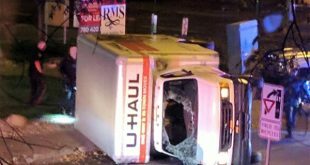 Several people were struck. Two civilians were fatally injured,” the Ontario Special Investigations Unit said. 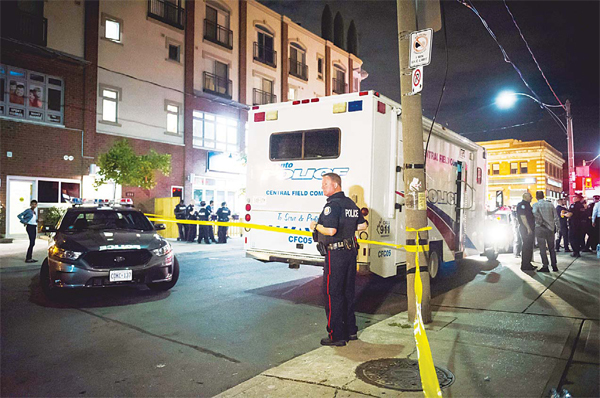 The unit, which investigates police-involved shootings, said officers located the man on a cross street “and an exchange of gunfire took place.” “The man fled the area and was located deceased on Danforth Avenue,” it said.